Here are a few pictures from a recent Structural Insulated Panel install in Michigan. We pre-cut all the Roof SIPs and most of the Wall SIPs in our shop. 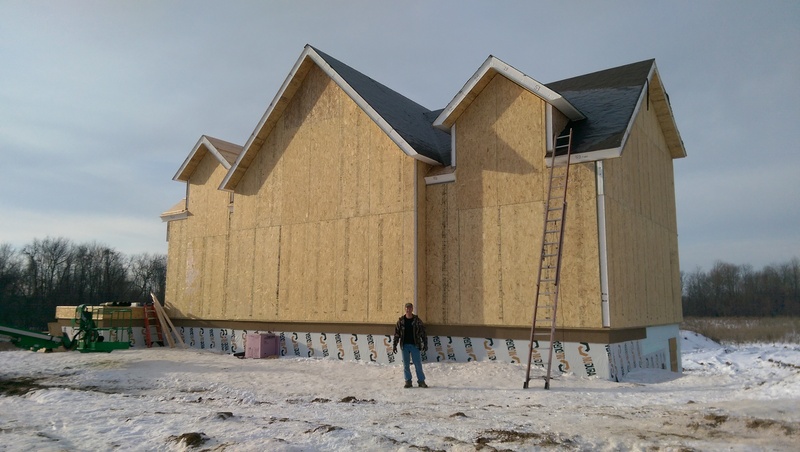 We sent one of our install techs to this project to assist the home owner and his local crew with the frame erection and panel installation. The result was a shell that was erected in 2 weeks time with minimal onsite waste. Foam Laminates of Vermont can manufacture your SIPs, Pre-Cut them, and Install them. We are also happy to send one of our guys to work with your local crew. Contact us for a free estimate.